You’ve traipsed most of the steadily-worn tourist routes throughout San Francisco and maybe even wandered off the peninsula. 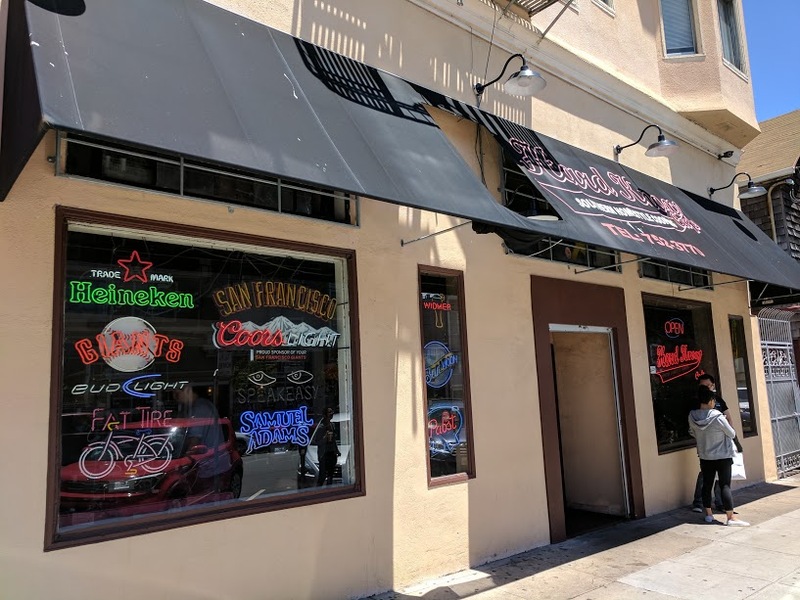 You’ve posed in front of the Full House, walked across the Golden Gate Bridge and even gotten yourself a bread bowl of chowder from Fisherman’s Wharf. Now it’s time to venture to the nooks and crannies that you might not have heard of yet. 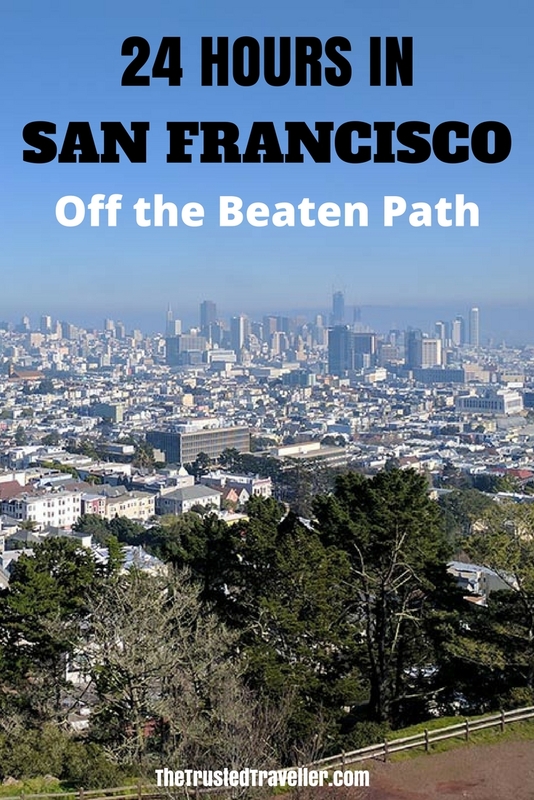 Welcome to off the beaten track in San Francisco. 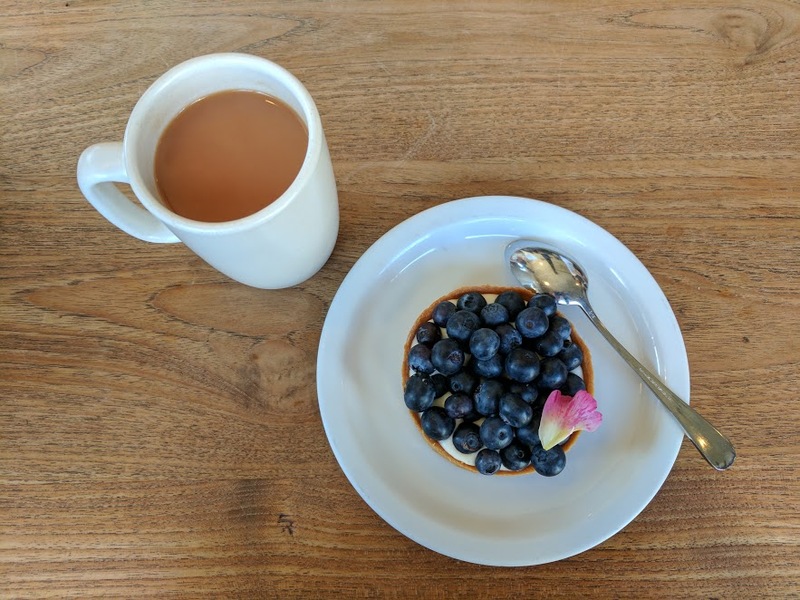 Start your day with a French pastry from Tartine Bakery or a porchetta and fried egg sandwich from Tartine Manufactory. Both locations will have lines, simply because they’re so good, so be sure and get in early. They are billed as making the best bread in the country and the pastries aren’t far behind. 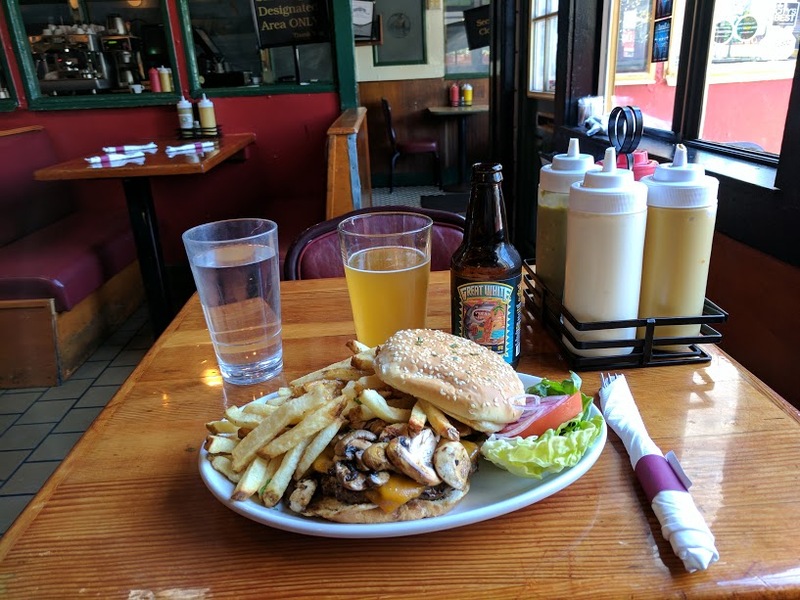 If you’re trying to convince someone to move to San Francisco, I guarantee you’ll have them after that first bite. Embrace your inner daredevil and head over to the Seward Mini Park. Hopefully you didn’t eat too much at breakfast. 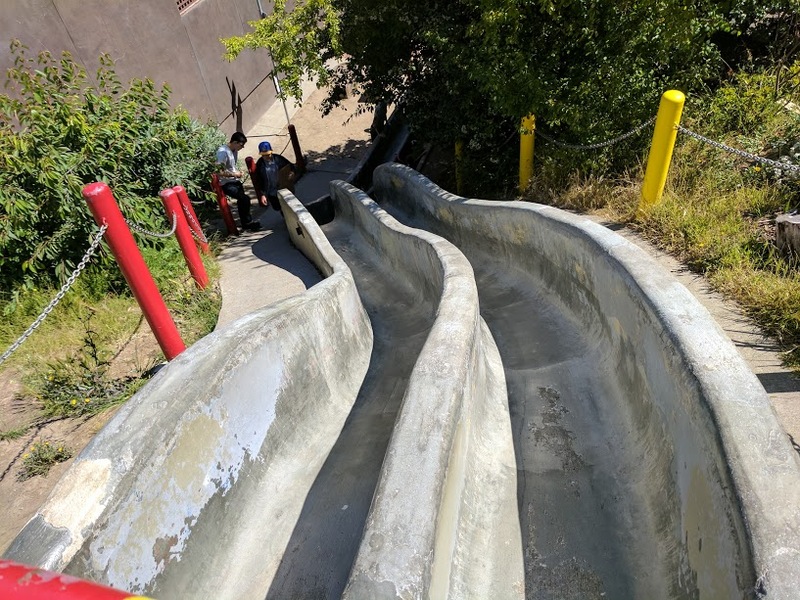 They have two giant concrete slides that you can tackle at your own risk – they’re heaps of fun, just BYO sturdy pants. Sometimes there’s cardboard left there by others. 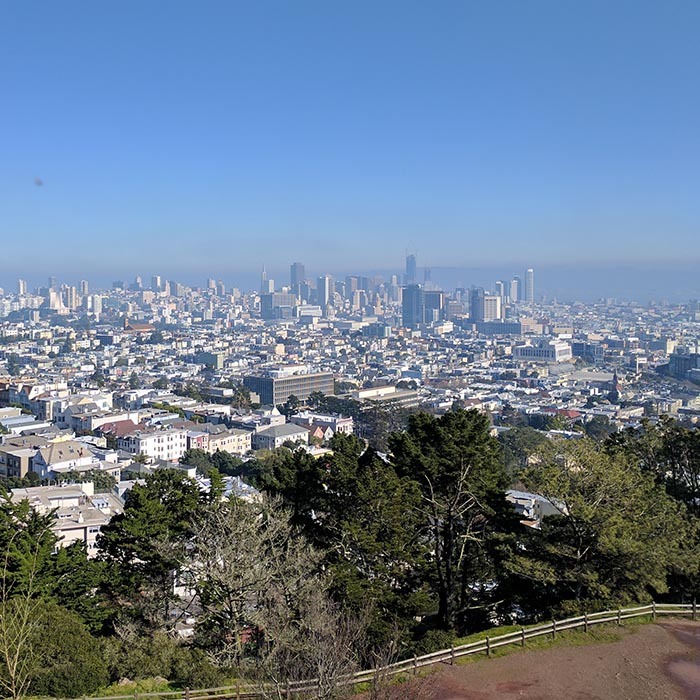 For some of the best 360 degree views of the city, bay and the peninsula laid out in front of you, you really can’t go past Corona Heights Park. Have your hiking feet ready though, since it’s a (short) climb up the stairs to the rocky viewing area. It’s also wheelchair and stroller-accessible via a ramp-like path. In spring you’ll experience a carpet of wildflowers, just watch out for the poison oak, which is food for local animals but will leave you with an itchy rash. This is street art of a completely different kind. It’s a flight of 163 mosaic stairs leading from 16th Avenue halfway up to Grandview Park. 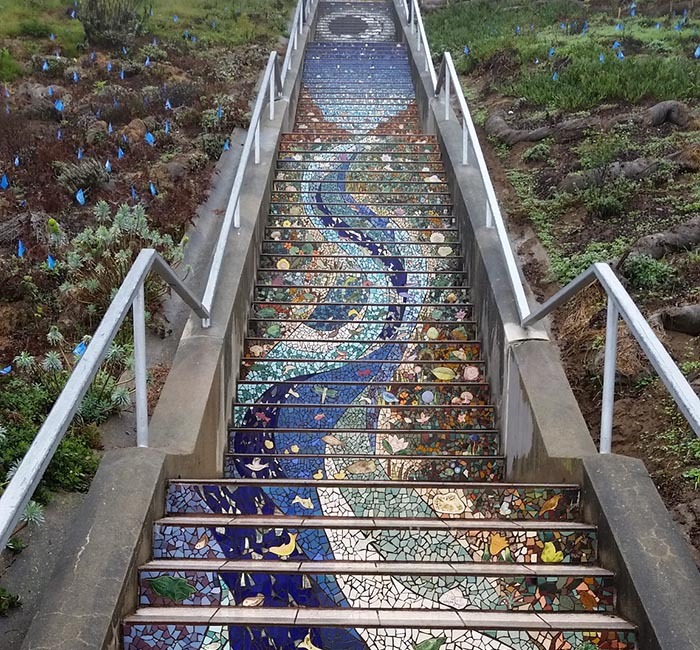 Designed by two artists – Aileen Barr and Colette Crutcher – these stairs were created by 300 locals who helped cut the tiles, and worked off plans to take the mosaic panels from paper to reality. 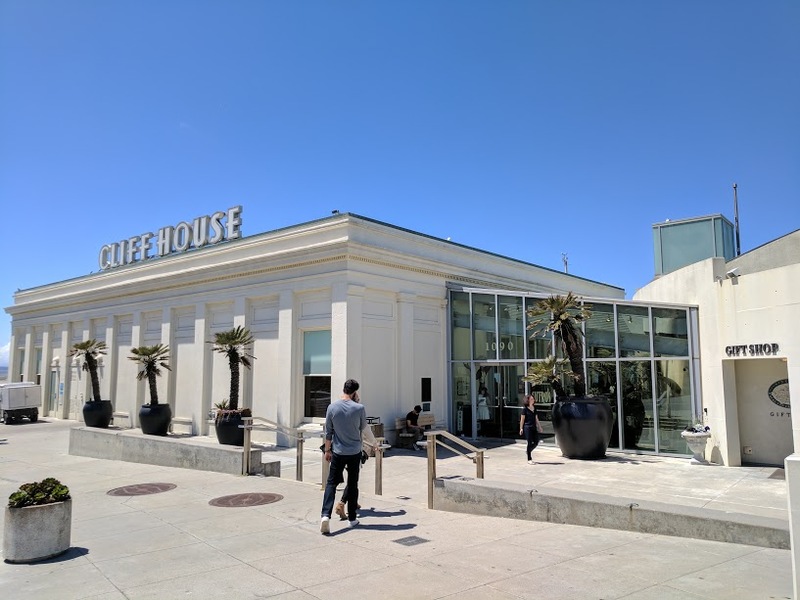 If all that climbing has made you hungry, you can check out the Cliff House’s Sunday champagne brunch buffet. But we’ve really trekked out here for the beautiful building and the ocean views. Plus it was visited by Mark Twain (yes, it’s that old). Walk around the back of Cliff House (toward the cliffs and the ocean) for the Camera Obscura. 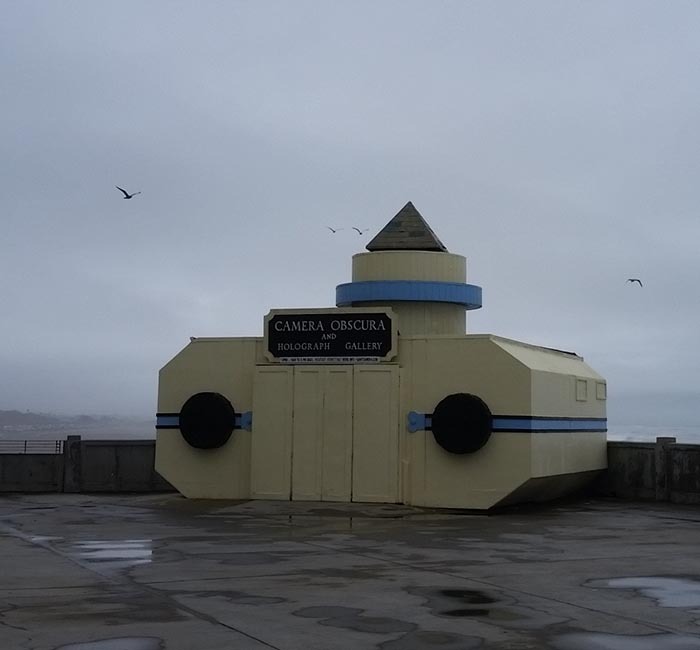 Don’t let the dingy outside deter you, the camera obscura is based on a Leonardo da Vinci design. It magnifies Seal Rocks – a group of small rocks where, you guessed it, seals hang out – to give you a live view of the mammals, without the smell. 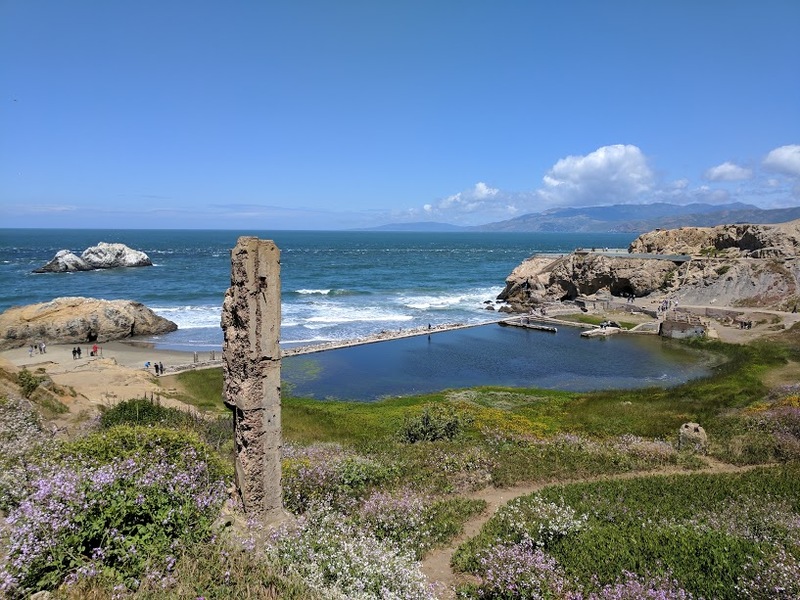 Just a short walk from Cliff House sits the Sutro Bath ruins. Perched on the coast, the public swimming baths were built by millionaire Adolph Sutro in 1896. 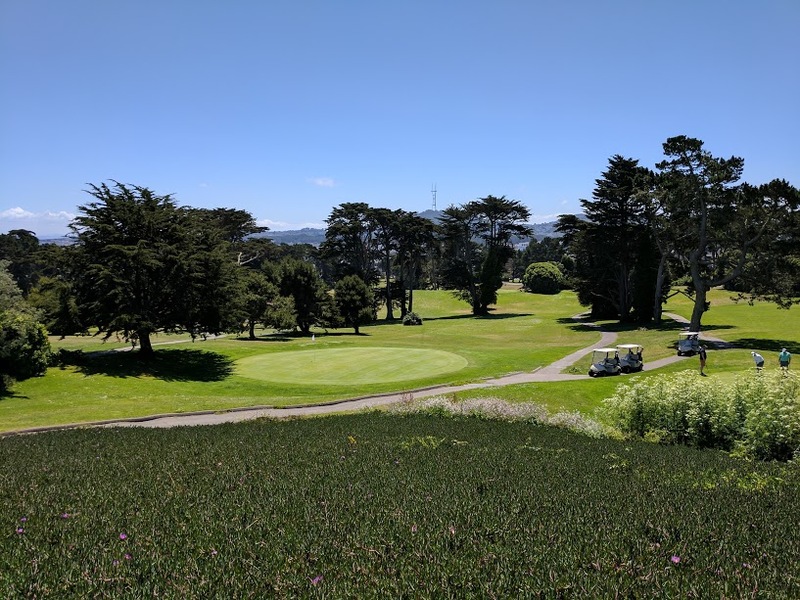 They featured gardens and a steam train to bring San Franciscans in from downtown, because Sutro believed everyone should be able to enjoy the baths. 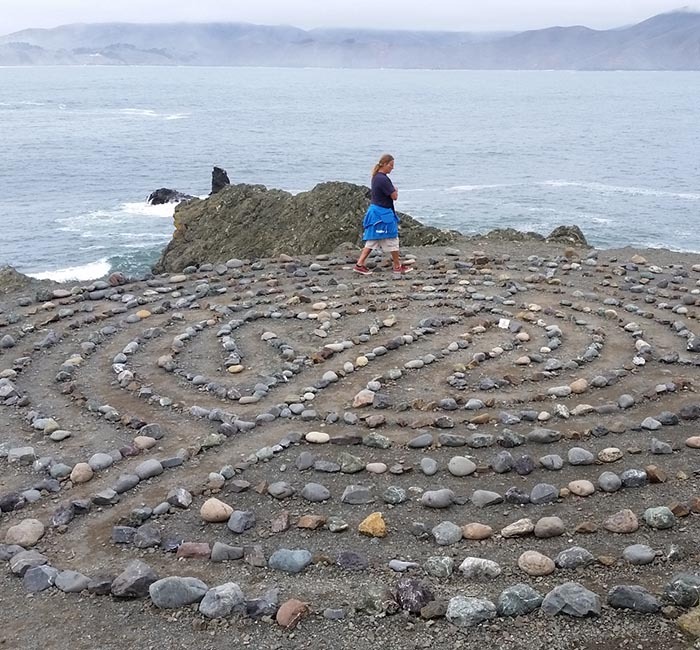 Now, follow the signs for the Coastal Trail out to Lands End Labyrinth. It’s made of stone and put together by volunteers. 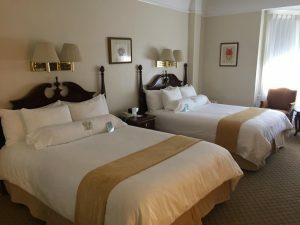 It also offers great views of the North Bay and the Golden Gate Bridge. It’s lunch time, so why not try some soul food? You can’t really say that you’ve tried real US food until you’ve gotten some fried chicken pot pie, or chicken and waffles. Consider this digestion time with a spot of culture thrown in for good measure. 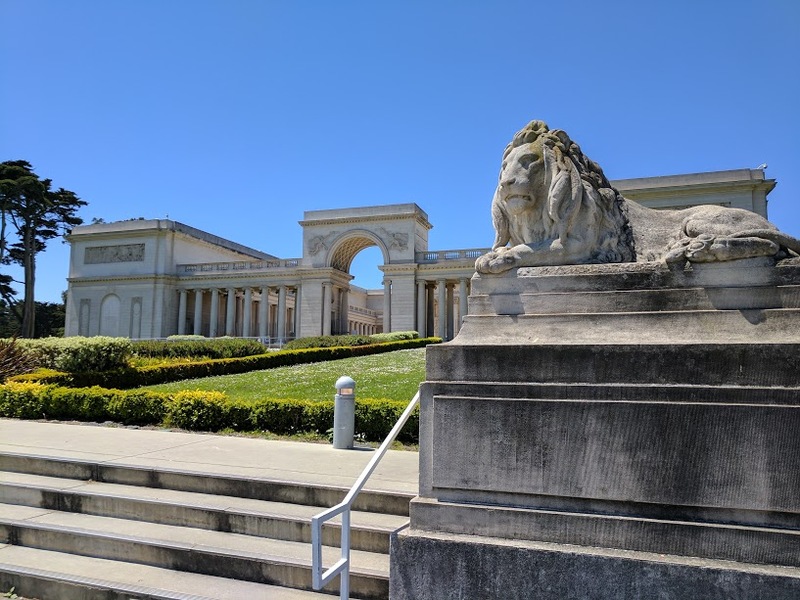 The Legion of Honor building houses 4000 years-worth of art in a beautiful building that commemorates those who died in World War I. The museum includes Rodin’s The Thinker and other works of great European and ancient art. Time for a kip. Don’t argue with me! You want to be fresh for the evening. Head out of the Legion of Honor to Lincoln Park. Kick back under a tree and watch the golfers, and other forms of people, wander past. You’ll have to book this in advance but it’s worth it. The Audium is a theatre like no other in the world. It’s set up with 176 speakers and constructed specially to give “sound” a presence. Feel it move over, under and around you during the performance. It’s an experience that you won’t get anywhere else, so why not try it? This place never sleeps – where you can get a burger at 3am or some pie at 4pm, all inside of a train car. 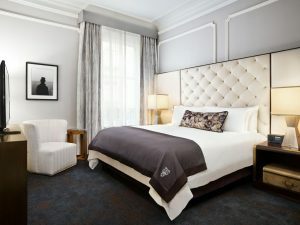 It’s the perfect place to end your San Francisco tour. This classic American diner doesn’t have fancy food, it’s built on old-fashioned staples with a few Portuguese dishes thrown in. 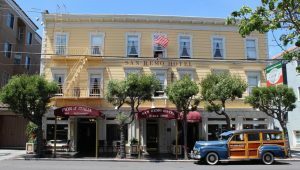 Here are my top picks for accommodation in San Francisco. Each one is unique and slightly off the beaten path. 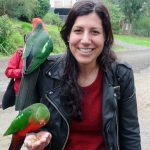 Katherine is an Aussie living in San Francisco via stints in Sydney, Malta, London and Perth. She waxes lyrical about life in the United States and hands out unsolicited tips to expats at Bright Lights of America. Follow her on Facebook and Pinterest for travel tips and details on becoming an expat. 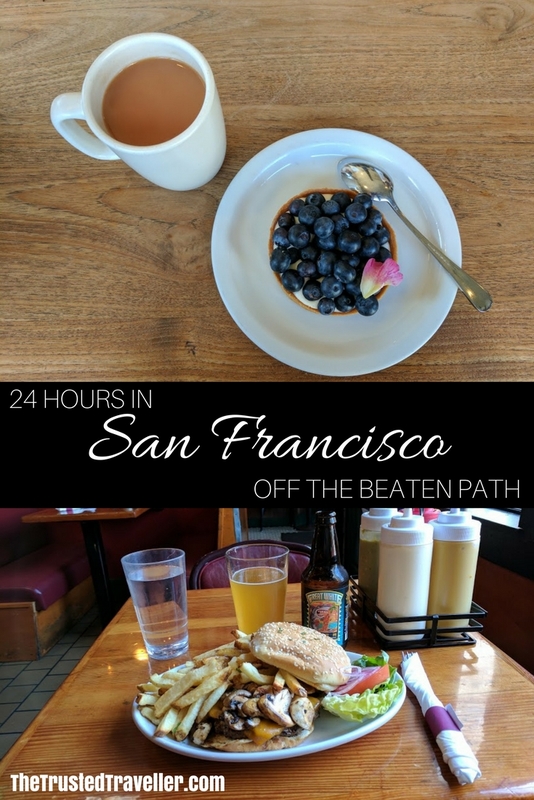 If you only had 24 hours in San Francisco, which of these things to see, do and eat would you do first? San Francisco sounds like such an amazing city! A must visit – great photos. It does look amazing doesn’t it Kay!